Victoria Törnegren » Saint Laurent Sunset Bag – Which to choose? 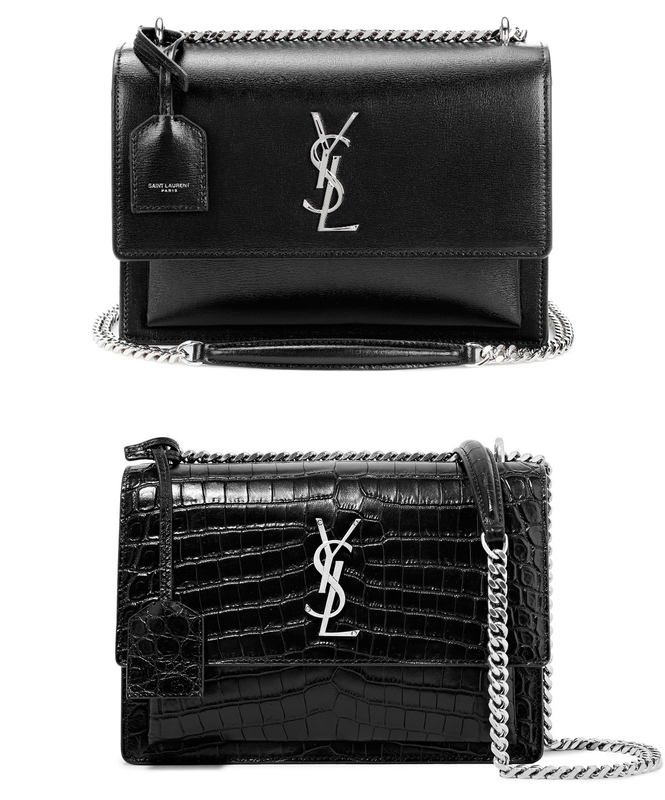 Saint Laurent Sunset Bag – Which to choose? Okej, jag har helt snöat in mig på denna väska. Kärlek vid första ögonkastet i Paris, la ju upp en bild på den här om ni kommer ihåg. Men då fanns bara den lite mindre modellen och den kändes inte lika praktisk (fast nu blir jag osäker på det också..). Såg nu att den kommit i medium och även i krokodil-mönster (inte riktigt krokodil-skinn såklart). Ahhh, sååå himla svårt. Vad tycker ni? Behöver verkligen er hjälp. Puss! Ok, so this bag really got my attention. Love with first sight in Paris, I posted a picture on it here if you remember. But then they just had the smaller one and it didn’t felt so practical (but know I’m getting uncertain about that too, damn). But how ever, this is the medium one and they have it in both leather and croc-effect leather. Sooo hard. Really need your help on this one! Which one do you think I should buy? And the croc gives such nice contrast ! answer: Maybe.. ah, so hard. First one, I find leather made of reptilians very tacky. It looks too much like Chanel in my opinion, same chain strap and shape. I would rather find something just a little more rounded or with different proportions from more independent designer. answer: Yep, that one it is!! I have the first one, love it so much! I’ll choose the crocodile one ! Just because you already have a really classic model with your chanel ! So it will be nice to change a bit.